IBC 2018 was quite a milestone for EZDRM. 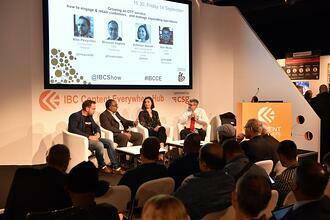 It was our first big tradeshow event - and at one of the worlds biggest video technology events. A re-launch of the EZDRM branding and an updated web site followed by an exhausting 5 days of show floor meetings and evening entertainment that leaves a bit of a blur in your mind! But we feel it was a big success for the company - we saw a wide range of interest in our simple, straightforward approach to DRM as a Service (DRMaaS), both from partners and from new service operators. What made the show special for us? - read on below! Our exhibitor participation in IBC placed us in the Content Everywhere hall 14 pavilion - so we were definitely among many of our partners. It is a dynamic environment that is emblematic of the growing significance of the streaming media marketplace. And, at its heart, the theatre space provides an ever changing backdrop of new technology presentations. Industry commentary and best practice panels that draws a great crowd through the exhibition corridors. Maybe next year we will grow into a bigger presence - but this seems like the place to make our mark. Many thanks to all those who did meet us at the booth. As a part of the IBC 2018 event we continued our regular sponsorship of the DASH-IF networking reception. The DASH-IF itself is becoming quite a respected institution and has undoubtedly helped to shepherd the world of standardized ABR streaming through its early growing pains to a widely accepted and broadly deployed industry movement. We have been happy to participate in and contribute to this journey as a Contributing member - and our own Universal DRM service is a comprehensive standards-centric companion to any commercial DASH service. The DASH-IF reception is a certainly nice way to network with our fellow contributors and customers and reflect on how far things have come. 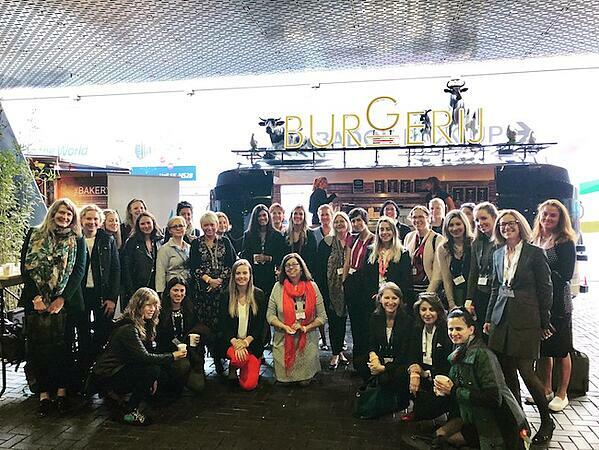 Something special was in the air when our COO, Olga Kornienko, joined the inaugural meetup of the "Women in Streaming Media" group - just an early morning coffee event to kick things off. In an industry challenged by gender balance, this kind of initiative is definitely something to support and foster. The group’s mission statement includes a goal "to increase diversity and give more visibility to women leaders within the technology side of the streaming media industry." It was great to see 50+ colleagues and friends from this background in support. We sincerely hope this group will grow in size and importance, as we move forward and become a prominent feature of the event programming scene.